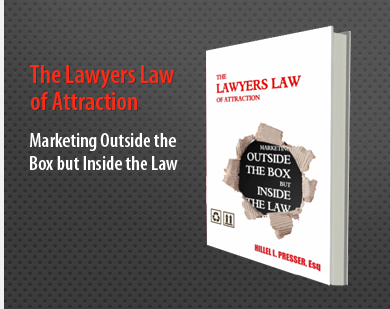 Whether you're a seasoned attorney or straight out of law school, chances are good that you're looking for ways to increase either the quality or quantity of your clients. While you may know how to reach your market, you may not know how to reach out to potential clients in a way that will cause them to react favorably. You know there are tools that will help. We know how to use these tools; allow us to teach you how to use them! It's not enough that you may be social media savvy or a public relations savant. You need to be prepared to look at your marketing strategy from all angles and honestly assess your strengths and weaknesses and work to improve your weak points. Working together, we can create a customized plan that's perfect for who you are, what you do and who you're looking to serve! If you're a lawyer this website is for you.